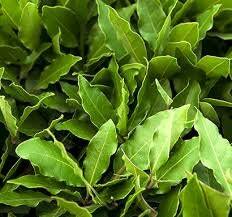 Properties: Common names bay laurel, bay, bay leaf, laurel leaf, sweet bay. Fresh Strong Sweet Camphor Spicy. An infused oil of bay has a long history of use as a pain reliever for arthritic aches and pains, lower back pain, earaches, and sore muscles and sprains. Aromatic and slightly bitter, spicy, sweet, medicinal. Blends well with Pine, Cypress and Juniper, Lavender. Frankincense and Clary Sage would be good partners in a spiritual/meditative blend. Combine it with Rosemary for an high-powered study blend. Citrus oils and other spices are also very nice. Please use in moderation, since it is easily overpowering with other aromas and can make you feel drowsy. Very satisfied, excellent products as always! I am always happy and satisfied when buying from here and will continue to buy from her. Highly recommend. Great quality. Excellent. Repeat customer and will continue to buy from here.